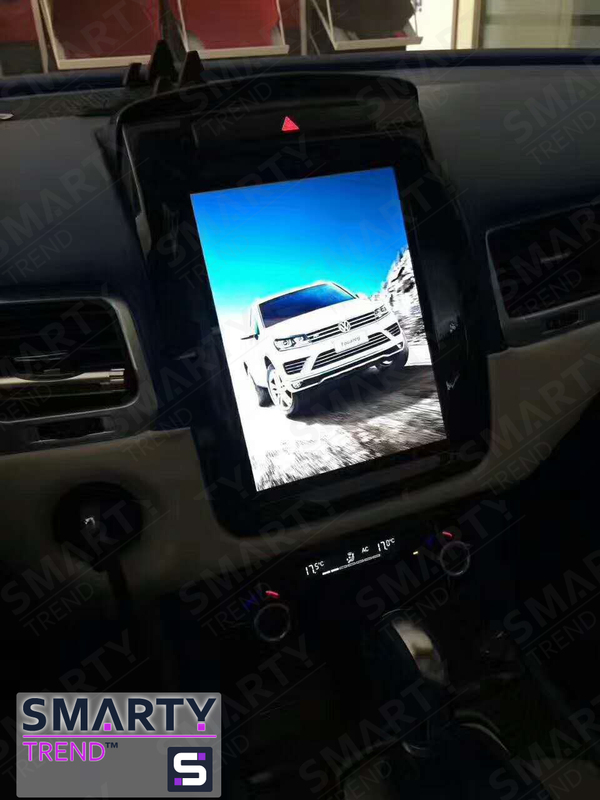 SMARTY Trend head device overview for Volkswagen Touareg. A new example for improvements was the Volkswagen Touareg. This is a great car that is a bright representative of its class, but not always the standard equipment meets the requirements of the owner of the car. In our time, you can do absolutely any tuning, such as visual changes to the car, and expanding the functionality! But the question is, where to find that golden mean? There is an exit! The company SMARTY Trend will not only help you with the choice of device, but also guarantee you the support of all the regular functions of your car! In this article we look at the device in the style of Tesla from the company SMARTY Trend. Many are interested in the question of how the installation will take place? Is it possible that this device doesnt suit me, let's deal with all this step by step. Tesla-style head units are standard, that is, they are specially designed not only for a certain make and model of car, but also for a certain equipment. All necessary items that are needed are supplied with the device. The quality of components is not inferior to the factory ones and even surpasses them in many points. We always check all the information before giving you any recommendations! Trust to the professionals! What is a Tesla-style headunit? Our priority in the development of these devices is the screen size, minimizing the number of physical buttons and saving all the functions of your car. Screen size is 10.4 inches Full-touch. The resolution is 1024x768 px HD. Excellent viewing angles, a new design solution makes the devices SMARTY Trend company a leader in the market of Europe. 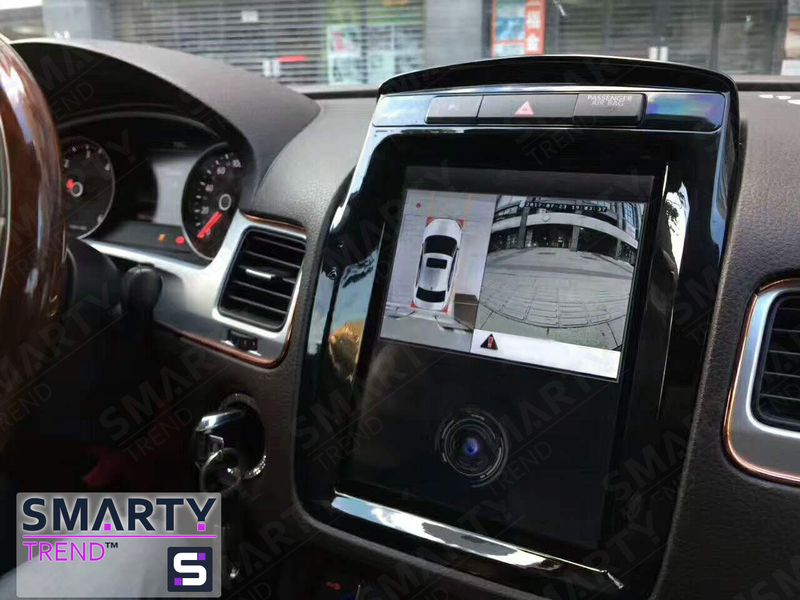 SMARTY Trend devices are developed based on the Android operating system, so you have the opportunity to use absolutely any navigation system. Choose the one that suits you. The route is synchronized via satellite connection, which makes you independent of your location, weather and Internet coverage. With a 10.4 inch screen, viewing media files is a pleasure. Viewing is possible via the Internet, for example, the YouTube app. It is possible to use the phone as an access point to the Internet. You can also install a 3G / 4G adapter, so your car will have internet for any device with a WI-FI module. The change of the Volkswagen Touareg touched upon not only improving the design of the car, but also adding a huge number of new features that were previously unavailable. The synchronization of the head unit SMARTY Trend in Tesla style is complete. All information is displayed on the main screen, which is one of its undoubted advantages. The physical interface is a thing of the past SMARTY Trend is always happy to assist you in choosing a device, just for you!